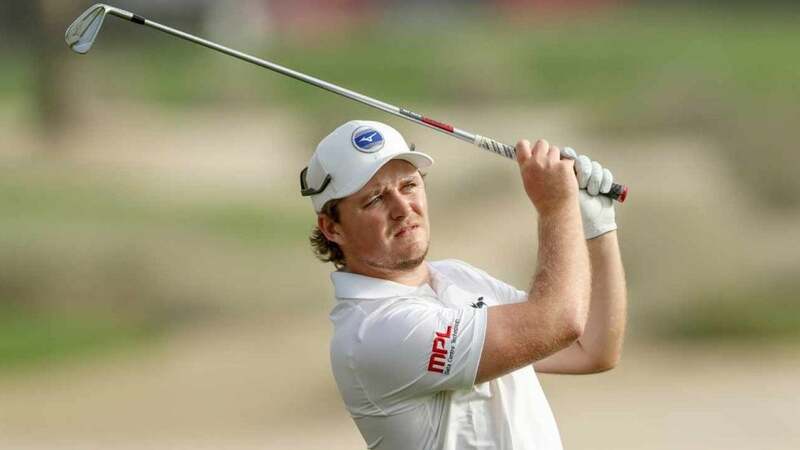 Eddie Pepperell defended his decision to play this week's European Tour event in Saudi Arabia in a thoughtful blog post on Tuesday. Participants in the Saudi International — including four of the world's top five players — have come under heavy scrutiny given the host country's human rights record. Pepperell drew criticism for a joke he made on Twitter on Monday, which led to his reflective post in response. "I considered responding on Twitter but 240 characters obviously isn’t enough when it comes to the topic of suffering and humour," Pepperell said by way of introduction. Then he posed the question that has been debated across the golf world since the tournament was announced. "It clearly is true that Saudi Arabia’s human rights record is questionable at best, and appalling to anyone in the West. But should that mean we boycott competing?" he wrote. For Pepperell, the answer was no — but he recognized it's tricky knowing where to draw the line. Saudi Arabia has come under particularly intense examination since the October killing of Jamal Khashoggi, a Washington Post columnist who had spoken out against Prince Mohammed bin Salman. But it's not the only country to host a major golf tournament with a sketchy approach to human rights. "Like, for example, why do we play in China? Or Qatar? Or Turkey?" Pepperell asked. The Saudi International, held at Royal Greens Golf and Country Club, is the first major tournament ever held in Saudi Arabia. It's one of six tournaments to be played on the Arabian Peninsula, according to European Tour executive director Keith Pelley, who has said a seventh could be added in the future. While the purse for the event is $3.5 million, high-profile players have reportedly been given appearance fees of $1 million or more. Justin Rose, Dustin Johnson, Brooks Koepka and Bryson DeChambeau are among those attendees who have punted when it comes to tough questions on the subject. "I’m not a politician, I’m a pro golfer," Rose said on Sunday. Pepperell echoed that sentiment, though he expanded on his reasoning. Skipping the tournament would mean missing out on world ranking points, he wrote, and a chance to play against the game's best players. For someone teetering near the edge of a Masters invitation, for example (Pepperell is world No. 39) those opportunities are invaluable. "This week throws up a not new conundrum for us then; that competition supersedes morality. If I don’t show up, the field doesn’t reduce a spot, somebody takes it," he wrote. Paul Casey, who is a UNICEF ambassador, explained his reasoning for skipping last month. “There are a lot of places in the world that I have played and continue to go, which you could question … some human rights violations that governments have committed,” he said. “I thought I’d sit this one out.” Tiger Woods also reportedly turned down a massive appearance fee. You can read Pepperell's entire blog post here.